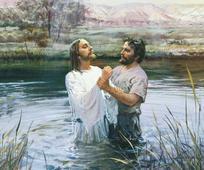 Just as Jesus Christ was baptized, we must all be baptized to return to live with God someday. Learn more about the biblical account of Jesus’s baptism and how we can follow His example. 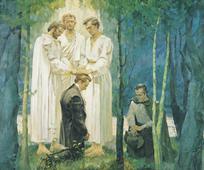 Members of the Church of Jesus Christ of Latter-day Saints believe that God’s holy priesthood was restored in 1829 through the Prophet Joseph Smith. The Church of Jesus Christ of Latter-day Saints teaches that prayer is one way we can draw closer to God. Learn more about what members believe about prayer. Members of the Church of Jesus Christ of Latter-day Saints (Mormons) believe that Jesus Christ is the Son of God and the Savior of the World. 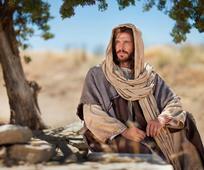 Find out more about what Mormons believe it means to have faith in Christ. 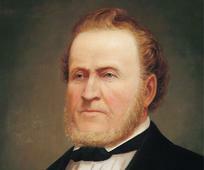 Brigham Young was the second prophet and President of The Church of Jesus Christ of Latter-day Saints. Learn more about the life and accomplishments of one of the most industrious Americans of the 19th century.